With two singles victories from sophomore David Sohn, South Pas cruised to a 17-1 win. 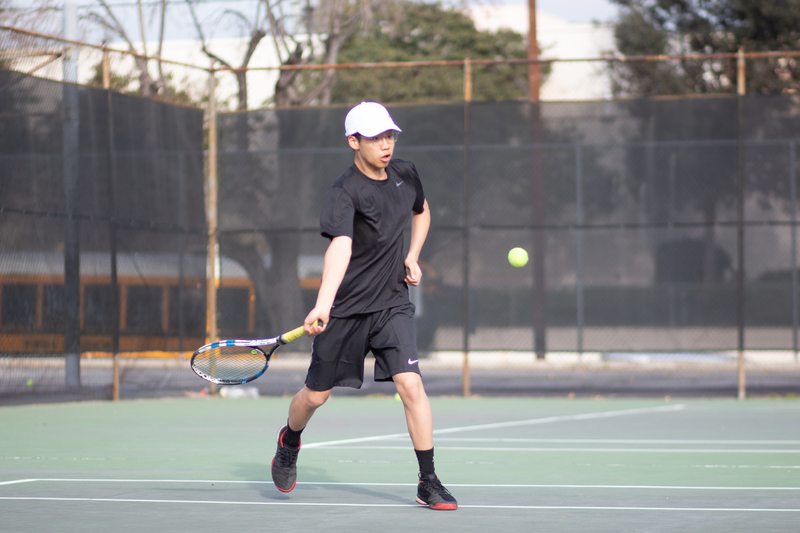 The boys’ tennis team won its first league game, decimating the Monrovia Wildcats, 17-1, on Tuesday, Mar. 19. South Pas now improves to 1-2 in league play. Singles two, junior Desmond Chan, blasted through his three sets, and junior Ben Pestana, singles one, won his first, but was substituted due to a foot injury. Sophomore David Sohn seamlessly stepped into the role, prevailing in the last two sets, 6-1 and 6-3. The Tigers will be back in action against La Cañada on Friday, Mar. 22.